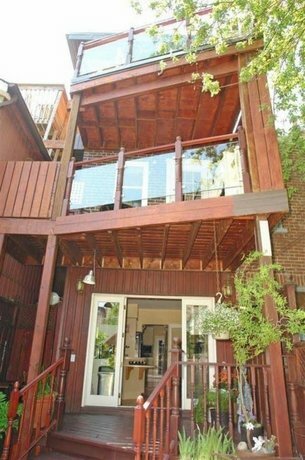 Situated in the residential Cabbagetown neighbourhood, this property is located within a 15-minute walk of the Eaton Centre, Nathan Phillips Square, the Ed Mirvish Theatre and the Dundas Street subway station. 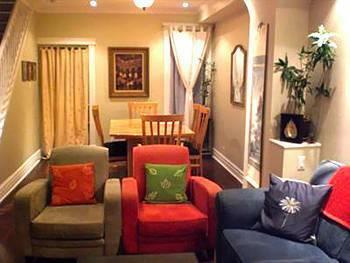 With only three rooms, this B&B is well suited for guests who prefer more intimate accommodations. This house is 100% smoke-free and is air conditioned. 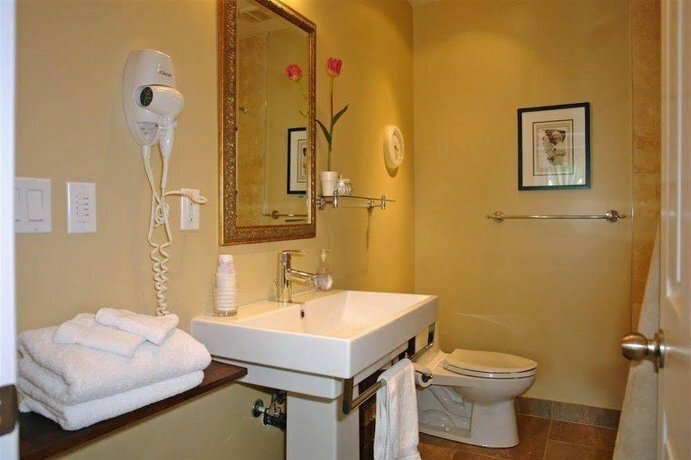 All rooms include a private en suite bathroom, free Wi-Fi and wired Internet, a TV, a safe and an alarm clock. 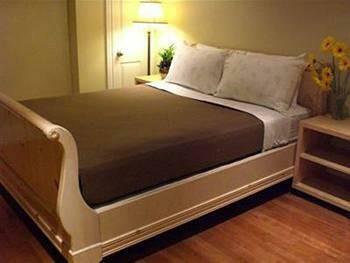 All rooms are furnished with one queen bed. One room (West Wing) also includes a jetted tub and a sitting area, while the East Wing room includes a 3-piece bathroom and a private deck. Free parking is available on site (for guests staying 3 or more nights). For guests staying less than three nights, parking is available for an additional fee of $20. Pets are not permitted. A free breakfast is served daily from 8 am to 9:30 am. Other on-site amenities include free newspapers, guest fax service and a garden patio. Smoking is permitted on the garden patio. 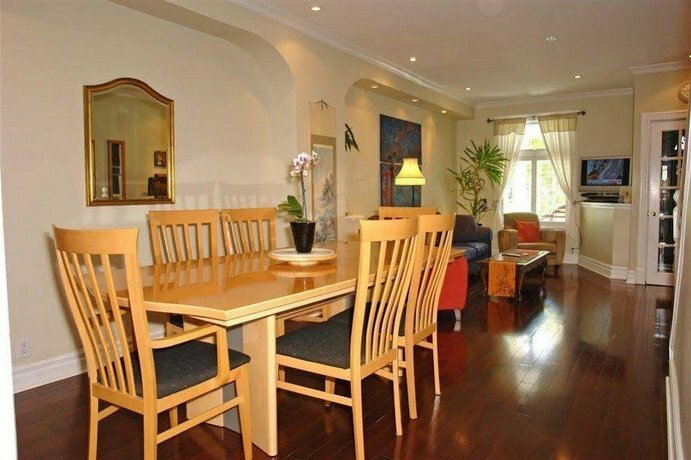 The Entertainment District (on and near Front Street) is 24 minutes away by transit (or 10 minutes away by car), which features the CN Tower, Rogers Centre, Air Canada Centre, Metro Toronto Convention Centre and Roy Thompson Hall. The Art Gallery of Ontario and Chinatown are both about 15 minutes away by street car (public transit). St. Lawrence Market (farmers' market) is a 7-minute drive south. 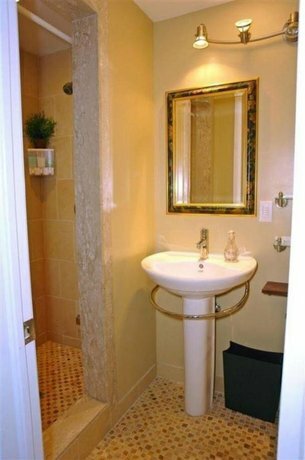 Many guests gave this property rave reviews and many aspects of the B&B were complimented, among the reviews used for this analysis. 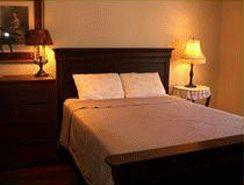 Many guests described their rooms as clean, comfortable and well-appointed. 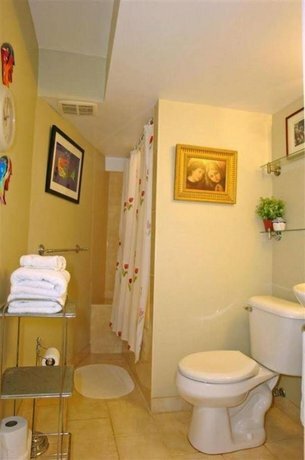 One reviewer said that her room was pristine, while another guest thought that the entire house was beautiful. The free breakfast was praised by many guests and some reviewers described the food as delicious and gourmet. A few reviewers mentioned that they were impressed that the hosts prepared something different for each morning of their stay. 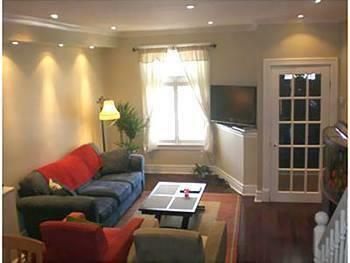 The hosts were constantly complimented by guests for their welcoming demeanour and attentive service. One reviewer appreciated that the host made her feel free to come and go as she pleased, while another guest said that he "felt more like preferred family than passing customers". Many guests found the location to be a good base for exploring the city on foot, by transit or by car. 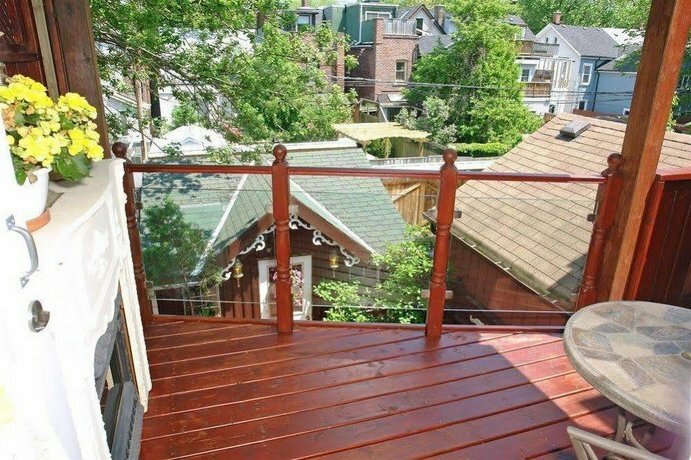 Several reviewers also mentioned that this property was situated on a beautiful tree-lined street. A couple of reviewers said that they enjoyed spending time on the outdoor patio. There were no common or shared complaints among the guest reviews sourced for this editorial. 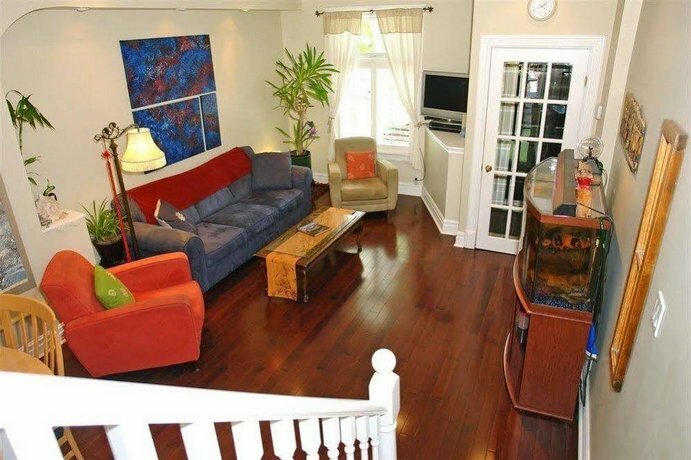 TripAdvisor.ca ranked this hotel #11 out of 121 B&B and Inns in Toronto, with an average score of 5 out of 5, from 80 reviews. 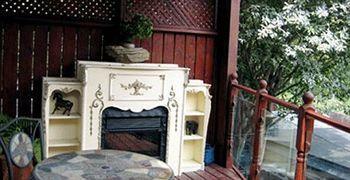 The average guest rating for A Seaton Dream B & B is 9.6 out of 10 based on 172 reviews from past guests. 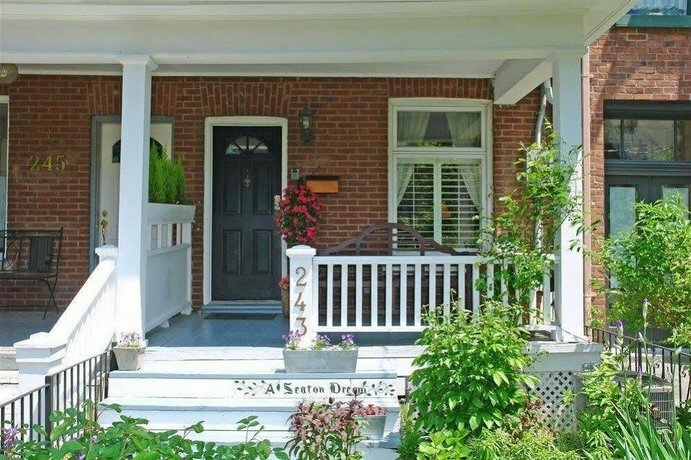 This average guest rating ranks A Seaton Dream B & B at #5 out of 119 hotels in Toronto.